Welcome to Salem, the “Witch City.” This coastal community is rich with history and places to explore. Whether you are interested in the Witch Trials of 1692, maritime history, or just a fun place to visit, Salem has something for everyone. Bring the whole family…even your pets! Whether you are a parent of children or pets, Salem is a great place to bring your entire family. 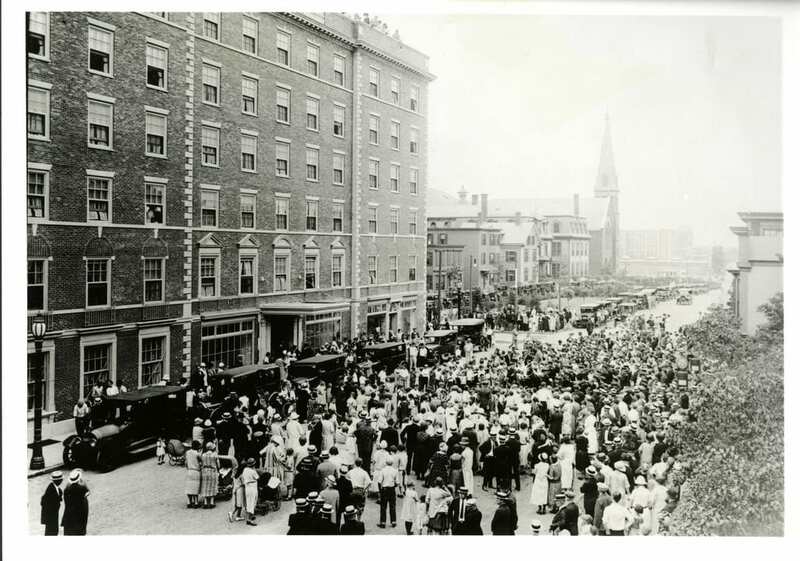 The Hawthorne Hotel has rooms that accommodate families as small as two people and as large as seven! Once you check into your room it’s time to start exploring. Take your kids to the Pirate Museum where they will see artifacts from sunken ships and explore the pirate caves. Once your little pirates have finished searching for buried treasure, head over to Flatbread Company for some pizza and candlepin bowling (found only in New England)! Have a furry friend you don’t want to leave behind? Book the VIP (Very Important Pet) Package and you won’t have to! 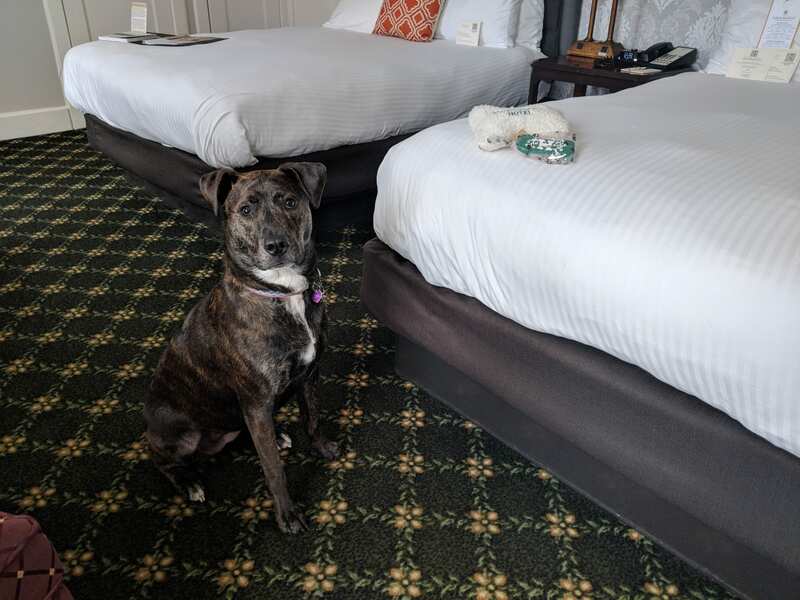 Included in the package is a Hawthorne Hotel themed Doggie Biscuit from New England Dog Biscuit Company and a $10 voucher to be used towards our doggie room service menu. The Hawthorne Hotel is one of many places in Salem that is pet-friendly! We have history of our own. Built in 1925, the Hawthorne Hotel is a proud member of the Historic Hotels of America and has been in business for almost 100 years. Of course the hotel has changed over the years, but it has not forgotten its history. In order to share that history with guests and visitors, there is now a tour of the hotel! 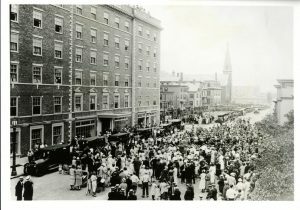 The Hawthorne Hotel History Tour runs Tuesday through Friday at 4:30pm every week. The tour last thirty minutes and is complimentary for all. Park your car and don’t move it until you head home. Time to get your steps in! Get your complimentary parking pass once you check into your room and leave your car in the same spot for your entire stay. 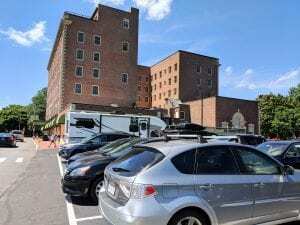 You can explore Salem, or even head into Boston, and your car will never have to move! 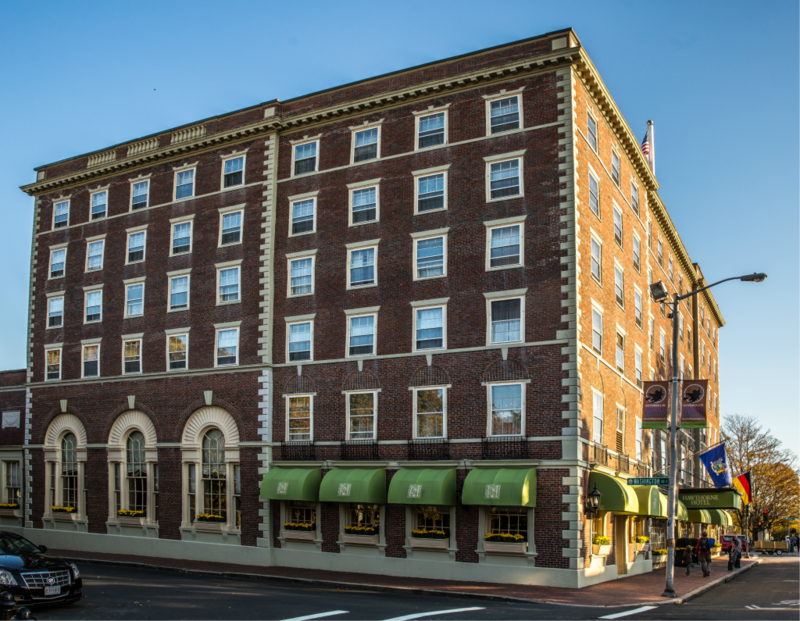 The Hawthorne Hotel is within walking distance of all the must-see places that Salem has to offer. 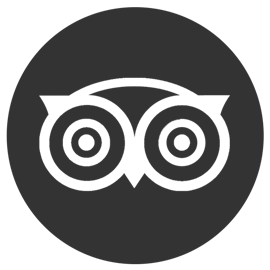 Our interactive map of Salem will give you an idea just how close you are to all the local museums, shops, restaurants and more. Take a walking tour of Salem to learn its history or hop on the Trolley Tour if you want to give your legs a break. Want to explore areas outside of Salem? The Salem Depot is a short walk away and a thirty minute train ride into the City of Boston. Want to travel by sea instead? The Boston to Salem Ferry is a longer ride but also a fun way to get to and from Boston. While you sip a lemonade or a cocktail, the crew will point out the landmarks as you make your way down the coast! Come explore a city that has history, fun and entertainment for everyone. Salem is waiting for you!